There are more to trucks than just the 18-wheelers that barrel down the highway in route to their next destination. These utility trucks, such as garbage trucks or construction vehicles, may fill a specific need but can be just as dangerous. Just like a tractor trailer or any other commercial vehicle, utility trucks are operated by inexperienced workers who haven’t been trained properly. Utility trucks need a great amount of attention to operate and if the driver is careless, a serious accident can occur. Must have failed to operate the truck properly (i.e. drive safely, maintaining control of the vehicle, etc.). Drove in a negligent manner, such as speeding, distracted driving, or driving under the influence of alcohol or drugs. The negligent driving resulted in harm of another person or persons. 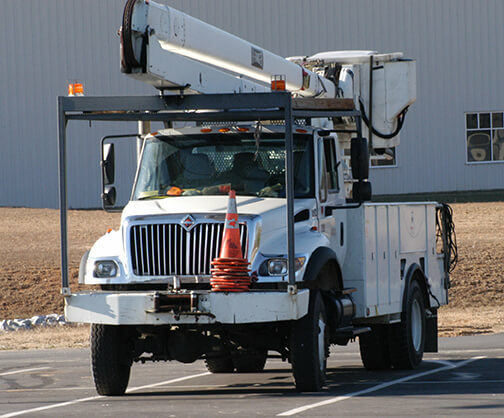 If you got into an accident with a utility truck, you may be wondering who gets the claim. If the driver is employed by a municipality, public utility, or a contractor who works on behalf of a public agency, then according to Texas law, you can sue the city, county, or other local government if that employee has caused an injury. However, this can be a daunting task. Taking legal action against municipality is extremely complex and you need an experienced lawyer to help you through the process. However, if the vehicle is owned by a private company, such as the cable company, then that business can be found liable for your injures. According to common law, not only can the employee be held responsible, but the employer can be held responsible for any financial compensation that was tied to the negligent employee. If you were seriously injured after an accident involving a utility vehicle, then you need an experienced lawyer by your side. Don’t wait any longer. Contact de Lachica Law Firm, PLLC, today for a free consultation.